Alexandria, VA, June 6, 2013 — The Air Charter Safety Foundation (ACSF) is pleased to recognize CAE and Gulfstream Aerospace Corporation as sustaining members. Both companies have shown their commitment to the foundation’s vision of enhancing and improving safety through their generous financial support. CAE is a global leader in modeling, simulation and training for civil aviation and defense. The company employs approximately 8,000 people at more than 100 sites and training locations in approximately 30 countries. CAE offers civil aviation, military and helicopter training services in more than 45 locations worldwide, and trains approximately 100,000 crew members yearly. “I believe ACSF is one of the key drivers of safety and standards in the industry and want to support it and help shape where it is going,” said Rob Lewis, Vice President and General Manager for Business and Helicopter Aviation Training. Gulfstream Aerospace Corporation, a wholly owned subsidiary of General Dynamics, designs, develops, manufactures, markets, services and supports the world’s most technologically advanced business-jet aircraft. Gulfstream has produced more than 2,000 aircraft for customers around the world since 1958. The company employs more than 12,500 people at 12 major locations. For further information, go to www.acsf.aero. While executives have ultimate responsibility for risk and safety, it is not always practical for them to know or be aware of all the detail. They typically rely on appointed staff to provide them with reports to satisfy themselves that risk and safety is managed effectively. An effective SMS Information management solution provides key insight into the risk management system to provide executives with status reports, outstanding actions, alerts and gap analysis. A dashboard facility is available to bring focus to what needs closer scrutiny. The dashboard is flexible, allowing each individual user to determine the information that is of relevance to them. Action management highlights actions pending and those overdue. Workflow management provides the ability to route information across the business as appropriate. Escalation management is provided to alert where the management system is not been responded to. A comprehensive range of standard reports is further complemented with an intuitive report designer, enabling users to create and add to the library reports they find of interest. All management systems generate reviews of systems, processes, people and risk assessments. These are managed with all relevant staff made aware of their responsibilities. Intelligence from other sources of information within the business, can be made available in in an effective SMS Information Management solution to get closer to real time risk assessment, test assumptions and further strengthen the management system. An effective SMS Information Management solution must be a very open system, and is designed to share information with other sources of intelligence within an organization. It’s wrong to label safety a priority, according to Merlin Preuss, vice president of government and legislative affairs for the Canadian Business Aviation Association. “That’s because it’s much too easy to change priorities as the world evolves,” he told last month’s Business Aviation Safety Seminar in Montreal (BASS). I attended the 2013 Business Aviation Safety Seminar (BASS) in Montreal last week (formerly CASS). The session was well presented from a safety perspective but more importantly to my view was the level of commitment and adoption from an aviation sector that is not subject to the 14 CFR Part 5 rule that will affect Part 121 operators this year. The sector is demonstrating aviation safety management leadership in the adoption of SMS concepts, practices, and principles. We heard many discussions regarding Quality Management, Quality Assurance, safety assurance, charter aviation safety, helicopter safety management, and compliance issues and solutions. NetJets® Inc., a Berkshire Hathaway company and the worldwide leader in private aviation, announced today that the company achieved a new safety milestone in entering Level IV of the FAA’s Safety Management System (SMS) Pilot Program. NetJets is the first and only private aviation company to achieve Level IV as well as the first fixed-wing 14 CFR 135 operator and the first combined 14 CFR 135 / 91K operator to enter this level. 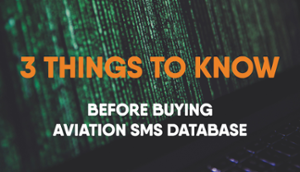 The FAA Safety Management System Pilot Program provides a four-level system to acknowledge development of a formal SMS according to FAA expectations and international standards. The overall objective of the program is to guide operators with developing and implementing an integrated, comprehensive Safety Management System for their organization. To accomplish this safety milestone, NetJets conducted thousands of hours of additional safety training for its employee group, along with the creation of new management review procedures to ensure the highest levels of safety are always maintained. When it comes to safety, NetJets never compromises. NetJets’ safety standards meet and in most cases exceed FAA regulatory requirements. From NetJets’ FAA-type-rated pilots for every aircraft type, dual-release system, biannual simulator sessions, superior flight attendant training, FAA-approved in-house meteorologists, international flight planners to the state-of-the-art aircraft and FAA Diamond award winning maintenance program, NetJets leads the industry in every aspect of flight safety. NetJets® Inc., a Berkshire Hathaway® company, is the worldwide leader in private aviation with the largest and most diverse private jet fleet in the world. NetJets began in 1964 as the first aircraft charter and management company in the world. In 1986, NetJets pioneered the concept of fractional aircraft ownership – offering individuals and businesses all of the benefits of whole aircraft ownership and more, at a fraction of the cost. Today, NetJets offers a full range of private aviation solutions through its fractional programs in North America and Europe, including NetJets Shares, NetJets Leases and the Marquis Jet Card®, which provides access to NetJets though a 25-hour jet card. The North America program is managed and operated by NetJets’ subsidiary NetJets Aviation, Inc., and the European program is managed and operated by NetJets Transportes Aéreos, SA, a Portuguese/EU Air Carrier. In the United States, NetJets also offers aircraft management and on-demand charter services through its subsidiary, Executive Jet® Management, Inc. The NetJets companies offer worldwide flight operations. More information on NetJets, NetJets Europe, the Marquis Jet Card, and Executive Jet Management is available at www.netjets.com . LOS ANGELES, Mar 28, 2013 (BUSINESS WIRE) — Jet Edge International, one of the fastest-growing large cabin aircraft management and charter companies in the U.S., has announced the addition of a Gulfstream GV aircraft with worldwide WIFI. The new addition will compliment the current Jet Edge GV fleet and be solely dedicated to charter. In addition to the GV, Jet Edge will receive a G650 in early 2014, which will also be dedicated to charter. “Jet Edge is extremely pleased to add another GV aircraft to our fleet. Our fleet growth is a testament to our seasoned operational team, safety systems and internal sales culture. We’re proud to provide our clients with one of the largest fleets of well-appointed Gulfstream aircraft in the world,” said Bill Papariella, president of Jet Edge International. “Our mission since acquiring the company in August 2011 has been to generate a safe, reliable and charter-friendly fleet of large cabin aircraft in strategic locations across the globe. By sticking to the model of ‘like aircraft,’ it provides our sales distribution network with reliability, mechanical recovery and ease of booking, and our owners get unique charter revenue opportunities unlike those available with a ‘home base’ sales approach,” said Papariella. Lee Roskop, an operations research analyst in the FAA Rotorcraft Directorate, has written an excellent article in the current March/April) of the FAA Safety Briefing. The accident trend continues even though IHST, the FAA, other government groups, and the rotorcraft industry have reinforced the message that pilots and operators need to take steps to ensure safer flights. See the article at What’s Trending in Rotorcraft Safety?